Spring is here. There is no doubt about that. If you can, get out to any of the many special regulation water’s and get some early season fishing in. 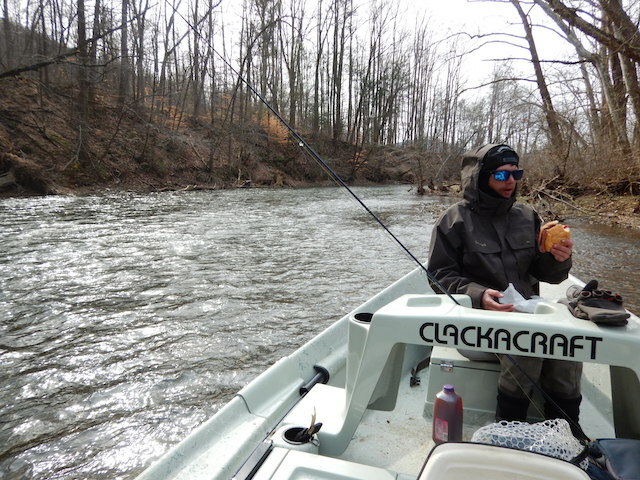 Donegal Creek and Tulpehocken Creek are two popular choices in the Lancaster area but the Yellow Breeches and the central PA spring creeks will also be in great shape over the next several weeks. I managed to sneak out with some great friends late last week before the Fly Fishing Show in Lancaster. Josh Diller from Daily Rise Productions and I met up with Eric Richards from Coveted Waters Fly Fishing to float a well kept central PA secret. While I was feeling under the weather I was not going to miss an opportunity to throw streamers to large wild trout from a drift boat on water that is an hour from my home. Coveted creatures living in coveted waters. We were on the water by noon, the water temp was in the upper 30’s which made made for some sluggish fish. The water color and clarity were perfect for stripping streamers. Now I am not a huge fan of throwing streamers normally but throwing streamers from a boat is a whole other level, IT’S FUN! For a casting nut it is an “all you can eat” target buffet and as fast as you can hit one lie you are on to another. We had several follows and flashes and we landed just a handful but as the water temps come up this fishery is going to go off. We will come back to that later. 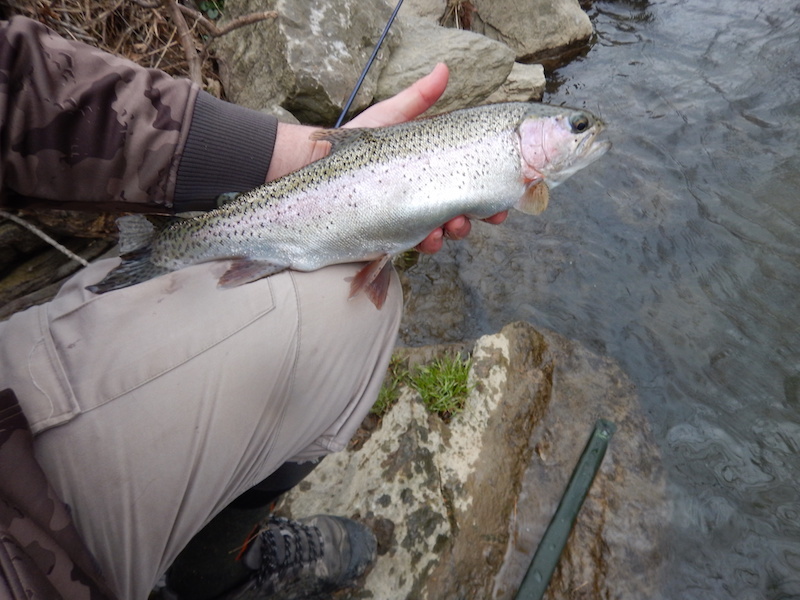 Early spring creek bow caught in a riffle on a deep sinking caddis pupae. The Fly Fishing Show rolled into Lancaster over last weekend and I was glad to see so many friends out at the show. Friday I met with the incredible fly fishing coach Gary Kell to work on my IFFF casting instructors certification pre-test. I managed to sneak out and check conditions on one of our local spring creeks Friday afternoon. 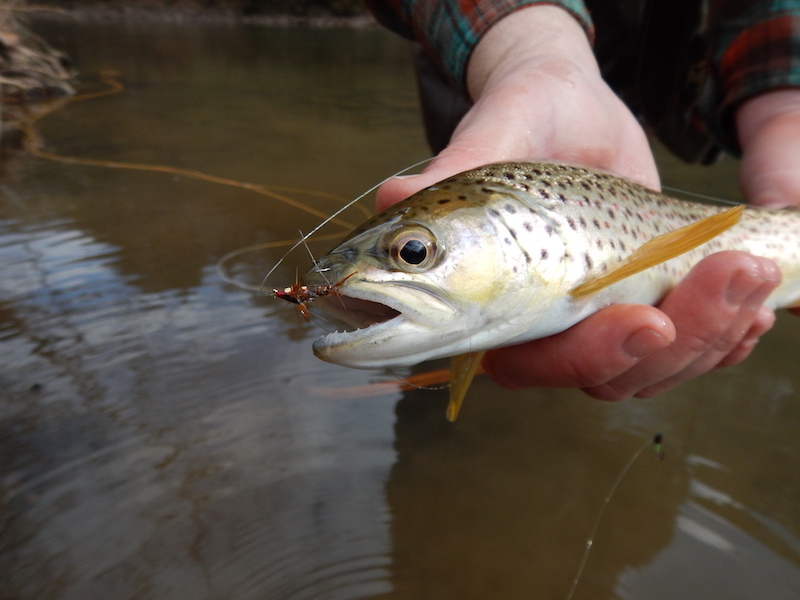 The creeks are warming and many fish are moving into their early spring feeding lies in riffles and faster water. Their are still many fish in winter lies but I was surprised how many fish were in faster water. Saturday I was working at the IFFF Chesapeake Council Booth teaching fly tying. Be sure to stop over at the CCIFFF webpage and check out our upcoming events. 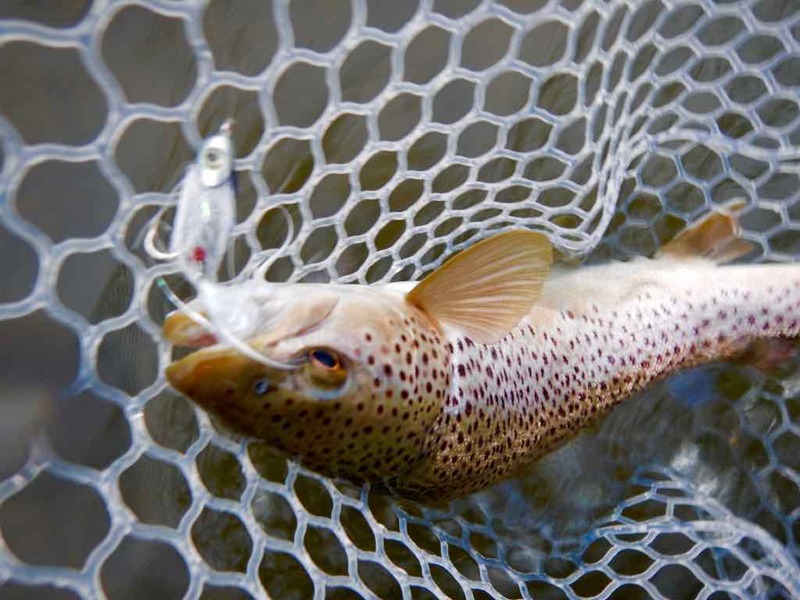 If you really want to get to know more about fly fishing these are the guys and gals to talk to and they have several great events and meet ups coming up this spring. These rocks are covered in AMD or Acid Mine Drainage. Unfortunately in PA this is still a very real thing. After the show weekend I had enough “talking” about Fly Fishing it was time to get out and do some! 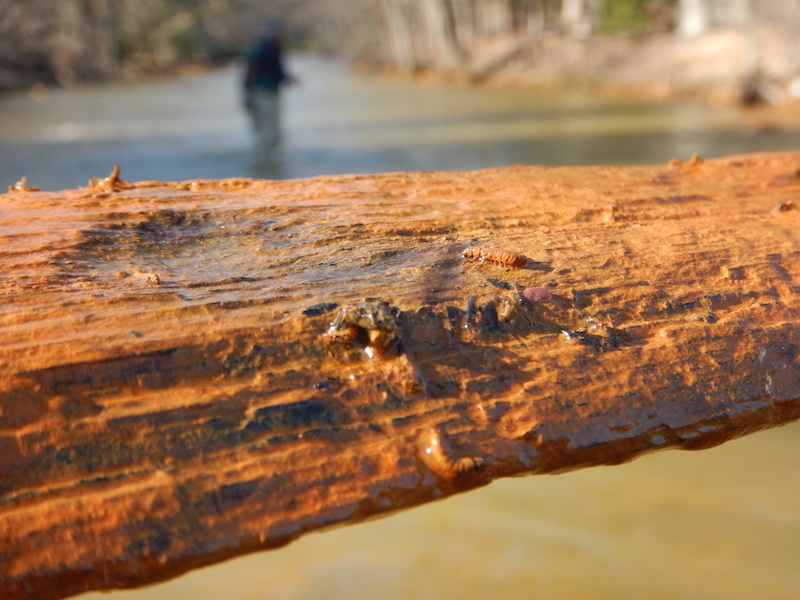 The weather was finally breaking and my good friend the Reverend Squatch from “Fishin’ with Squatch” blog sent me a text about a recovering Appalachian rust belt stream flowing through a depressed PA coal town. My kind of thing since solitude and weirdness are both important factors in my fishing. Caddis Pupae from an AMD impaired stream. Rev. Squatch and I have not fished much but it is always a good time between old friends when we do. The Rev. shares my appreciation for small treasures and fishing for fishing’s sake. When we arrived to the stream I thought he was pulling my leg because the stream was clearly severely impaired by AMD (acid mine drainage). 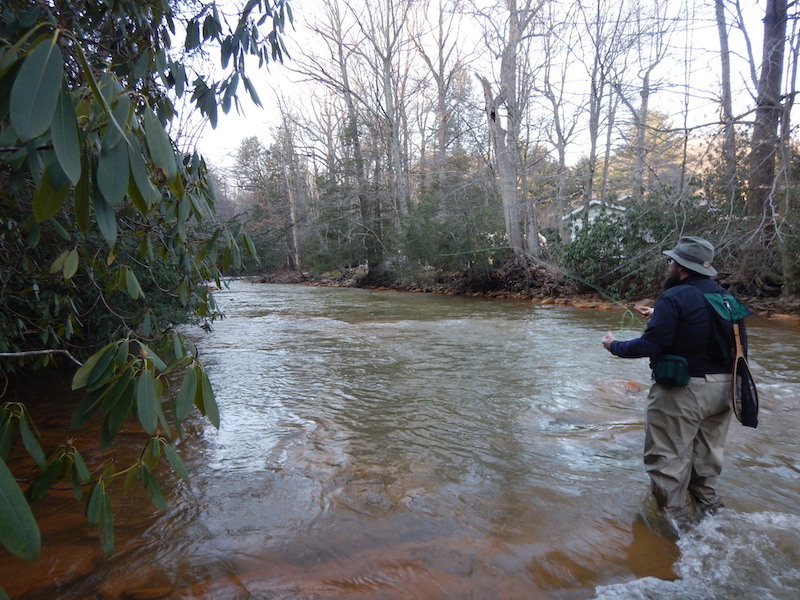 If you live out here in the East it is a sad reality you must learn to live with that many of our once abundant blue ribbon trout streams have been damaged by the exploits of the energy industry. 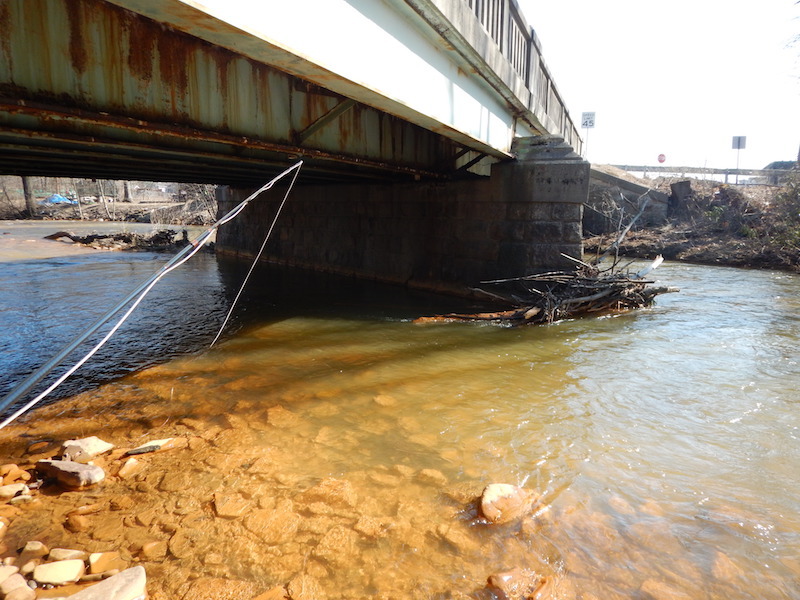 Some streams are becoming secret success stories such as the Lackawanna in Scranton after groups like TU and other conservation groups spent years repairing these waterways. However there are other creeks that run orange through the still depressed coal towns in the shadow of the East Coast Megaopolis. So with that said I proceeded skeptically but hopefully because catching anything out of this creek would be a success. I did manage to hook a large stick that look like some kind of building rubbish from upstream and sure enough there were two tiny little AMD coated caddis pupae. I couldn’t tell what their original color was because everything turns orange in these creeks but sure enough, there was a food source for any little trout. 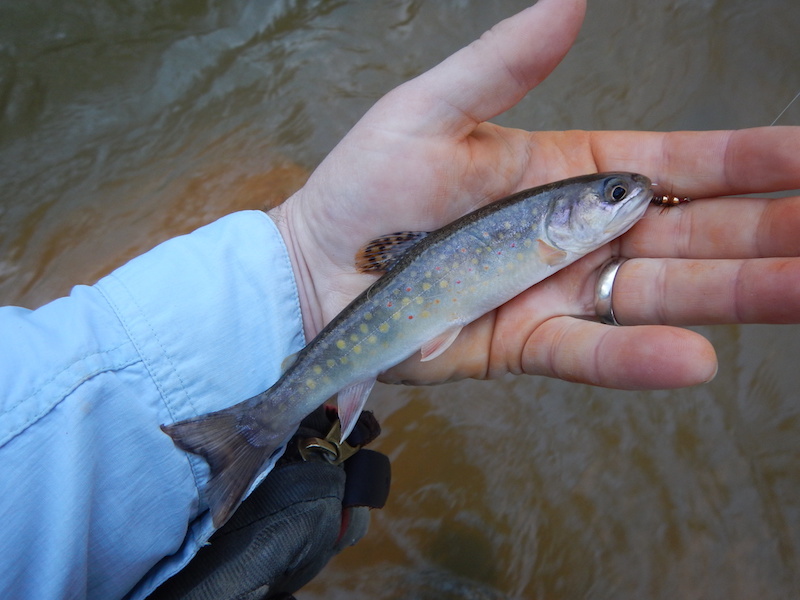 The next thing I know I was surprised by two little wild gems, one brookie and one brown. I even missed a brook that came up at my indicator in 38 degree water in March I’ll take it! We fished out the rest of the evening with not much other action. 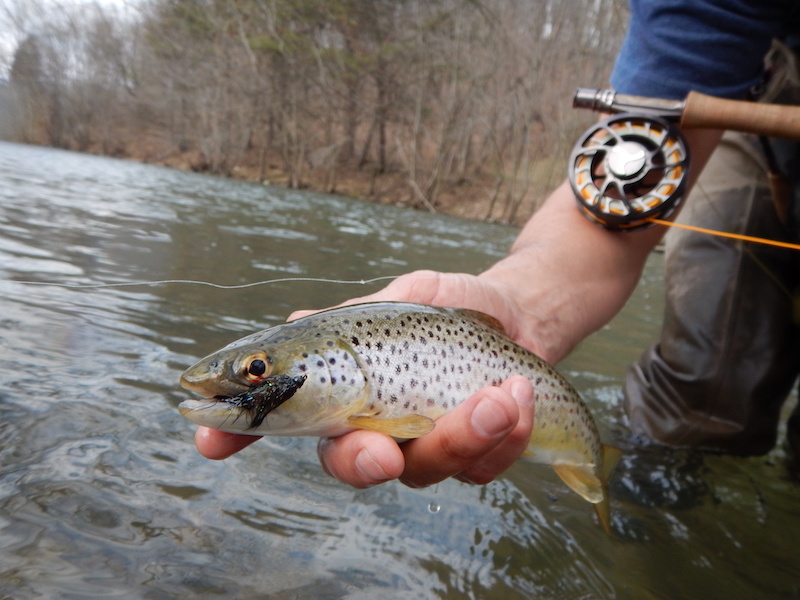 The best time to fish is still during the warmth of the day with many of the freestone creeks just now creeping out of the 30’s it is a good sign that the bugs are getting moving but the fish are still a bit sluggish. 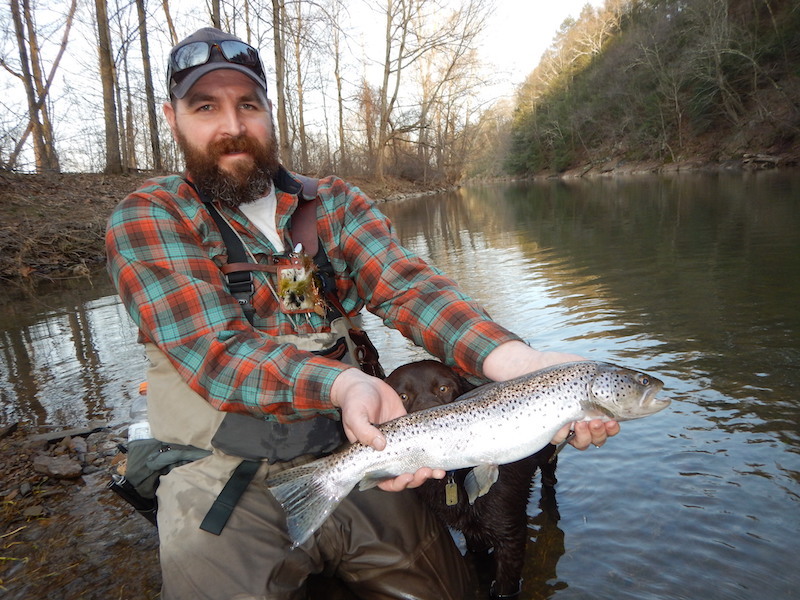 We are still finding fish in the tails and sides of pools but there are some heading to the bottom of the riffles. 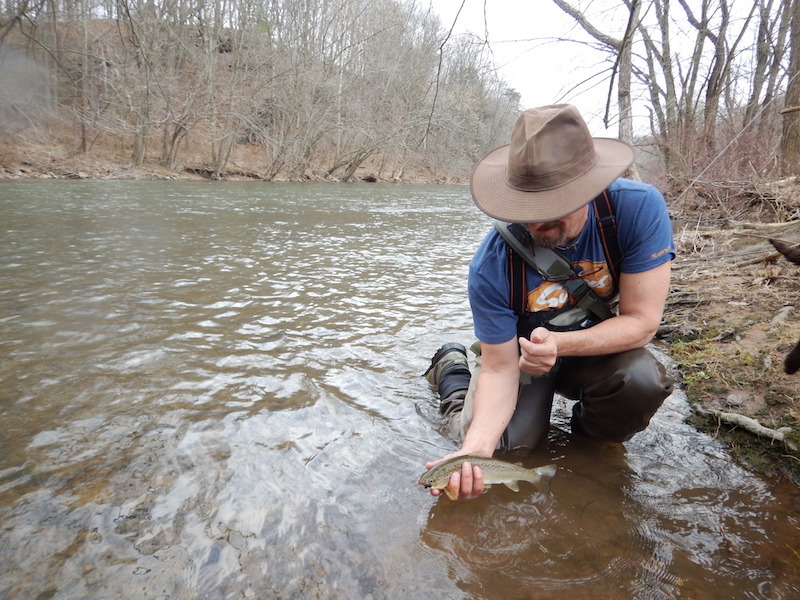 Tuesday I had another opportunity to meet back up with Eric from Coveted Waters Fly Fishing to hit his central PA gem. 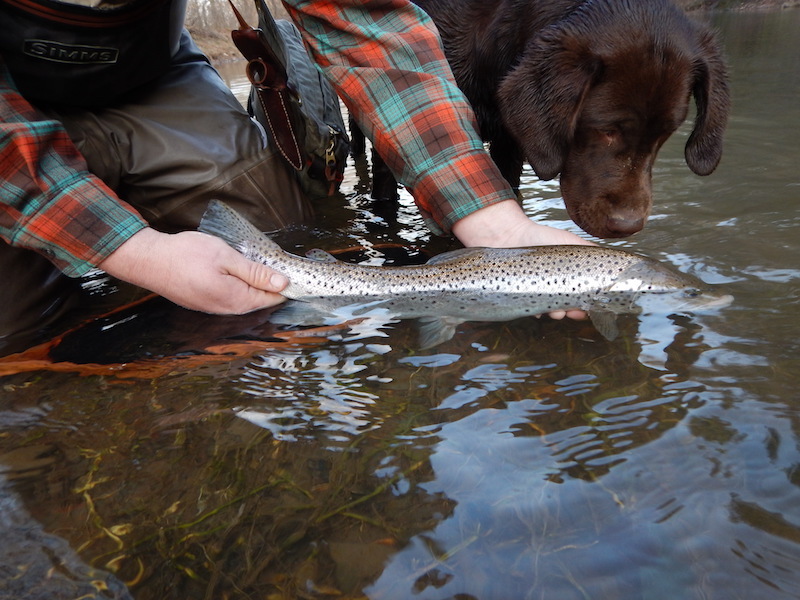 This time we waded in search of Early Black Stoneflies and rising fish. 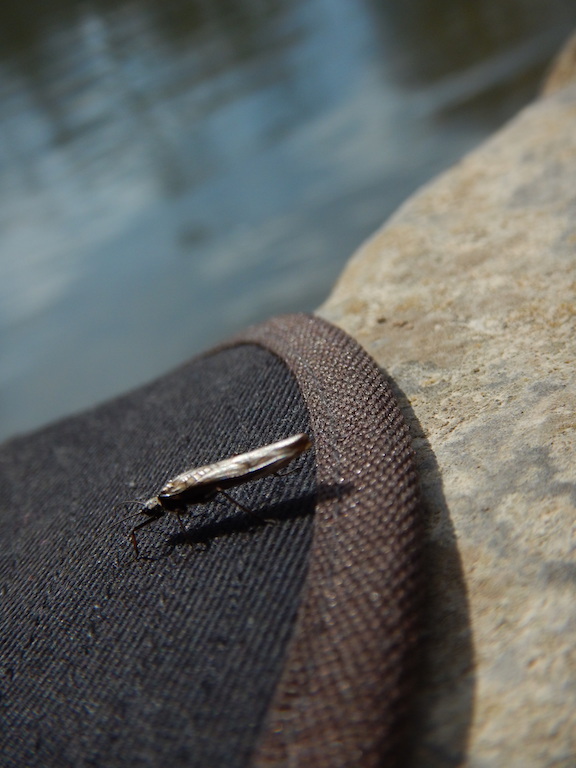 We found both, although the rising fish were sporadic the early black stoneflies were not when we found them. The bugs were not all over the creek however, in the areas that Eric knew to look for them, we found them. We checked out several spots but nymphs and streamers still ruled the day. Eric running the glide dead drifting a bugger. Highly effective right now on freestoners. It was great to see all sizes of fish getting active. I cast my bugger a rock cut eddy on the far side of the creek, mended while I waited for it to sink. One strip, damn, I waited to long, I must have hooked a rock. And then the rock started shaking and swimming, you know that feeling you get when you realize you’re about to push your 10′ 4wt to the max? Yeah, that one. Well, long story short, I got the fish in and she was gorgeous. I joked to Eric that I didn’t know PA had Atlantic Salmon by the color of the fish you almost would have sworn it was one if it had not been for the sluggish cold water fight. I was stoked and after a few more days of our current weather the fish will be rising steady and the fight will be unforgettable. My favorite deep EBS pattern from Orvis. many of these relationships have allowed him access to otherwise inaccessible land. It was quite a unique experience to fish water like this, the closest thing I could compare it to would be Penn’s Creek. But Penn’s and creeks like it all unfortunately suffer from the consequences of their own success. Often this means fishing over highly pressured, highly educated fish, at worst it means poaching and loss of access from trespassing anglers. These are all factors that Eric is well aware of and strives to educate his clients on as he slowly shares what is certainly one of the best kept secrets in central PA.
Lucky the Lab getting one last look at central Pa chrome. I had a great week on the water, however it came at a price. For any of you trout bums out there reading this please remember to keep your fishing passion in check. I pushed myself a little too hard the past week and ended up with a nasty bit of bronchitis. It has kept me off the water for the better part of this week and the weather has been fantastic. Luckily things are getting better and I will be back up to visit Eric soon. Be sure to head over to Eric’s website and give his Facebook page a like. You will be getting a front row seat for a rare unveiling party of a well kept secret Pa trout stream.